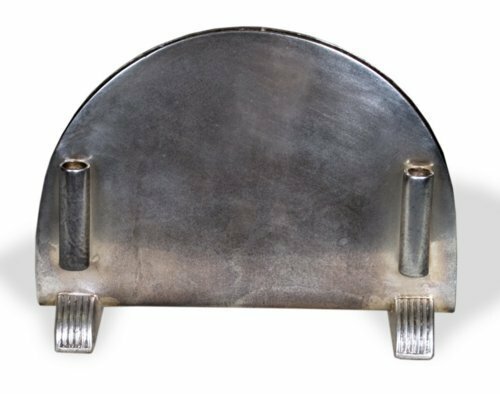 Small Art Deco silver-plated menu holder, part of a silver service used on the Union Pacific train "City of Kansas City," which ran through Kansas City on its run from Cheyenne, Wyoming, to St. Louis, Missouri. The train operated from 1968 to 1971. The service was made by the International Silver Company.